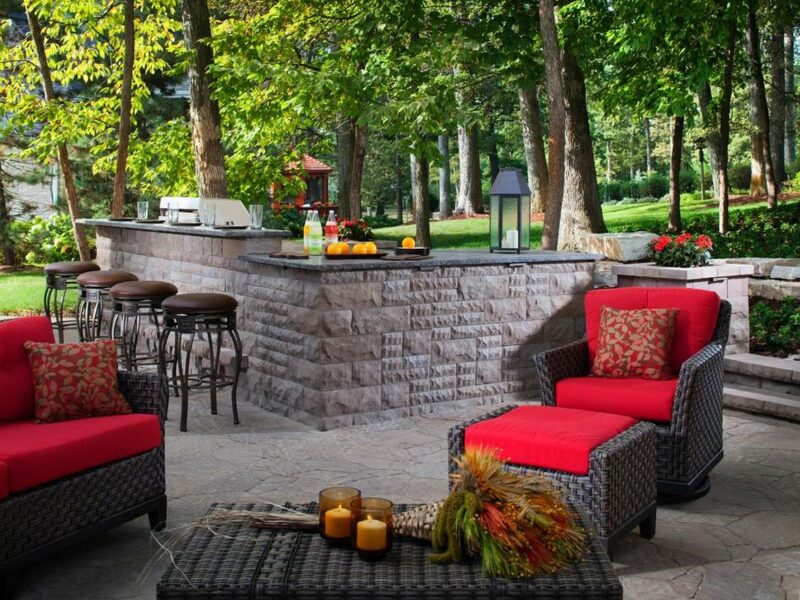 If you’re looking to turn your outdoors into a retreat or oasis, an outdoor wet bar can make it look more convincing. Since a wet bar is equipped with a sink it usually comes with the rest of the kitchen as well. A lot of times there will also be a BBQ grill, but if you are not into cooking a bar stand and a couple of stools is all you need. A sink and running water allows you to keep everything neat and clean whenever the guests arrive and the cocktails start flowing. 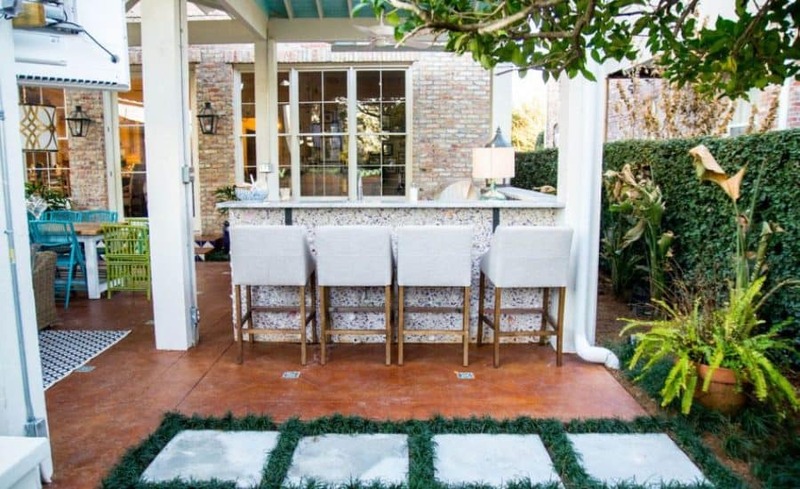 An outdoor wet bar/kitchen is multi-functional beyond doubt, but what about design and style? 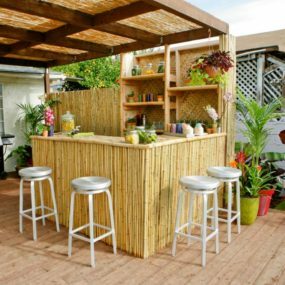 Well, modern outdoor bars can look really different, it’s all a matter of what atmosphere you’d like to create in your backyard. 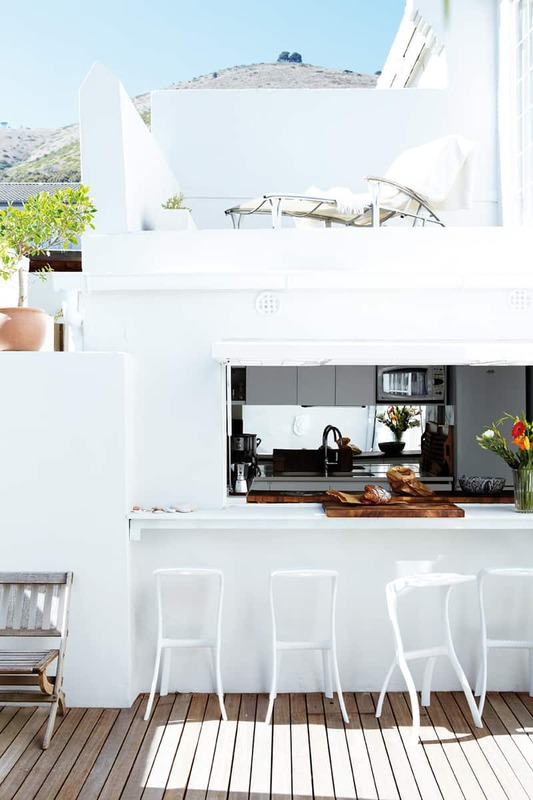 A relaxed resort, a posh outdoor club, or a homely cooking area where one can relax with a glass of wine and receive guests, it all depends on how you see it. 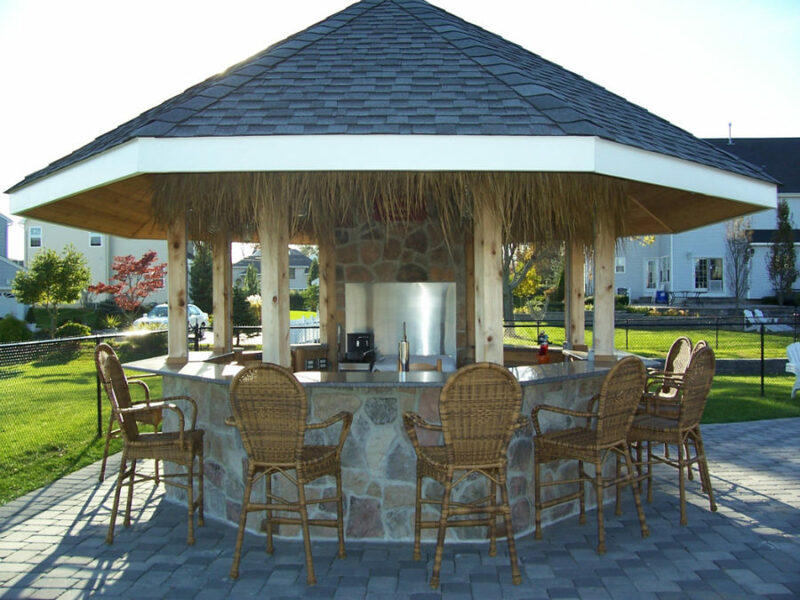 A stone circular bar with a conical tiled roof is probably one of the most popular bar designs you’ll find in resorts. It looks fitting and allows guests see each other better. 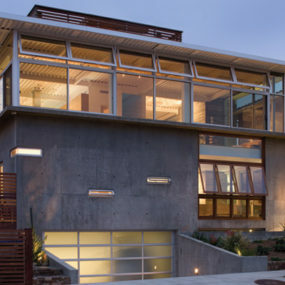 It surely can be made with simpler materials, but if you want a bit of luxury stone countertops could be worth it. 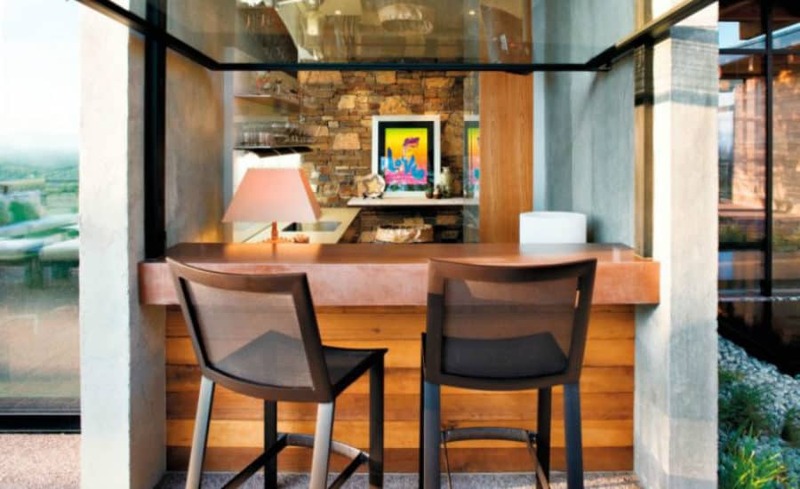 If you don’t want to invest into expensive stone, square tiles can make a beautiful bar counter. Separate bar structures don’t have to be made out of stone though. Wood works just as well and gives it a bit more homely look. 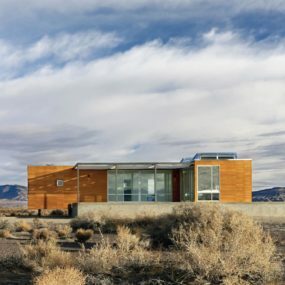 If there are no heavy rains in your area this could be a worthy DIY project. 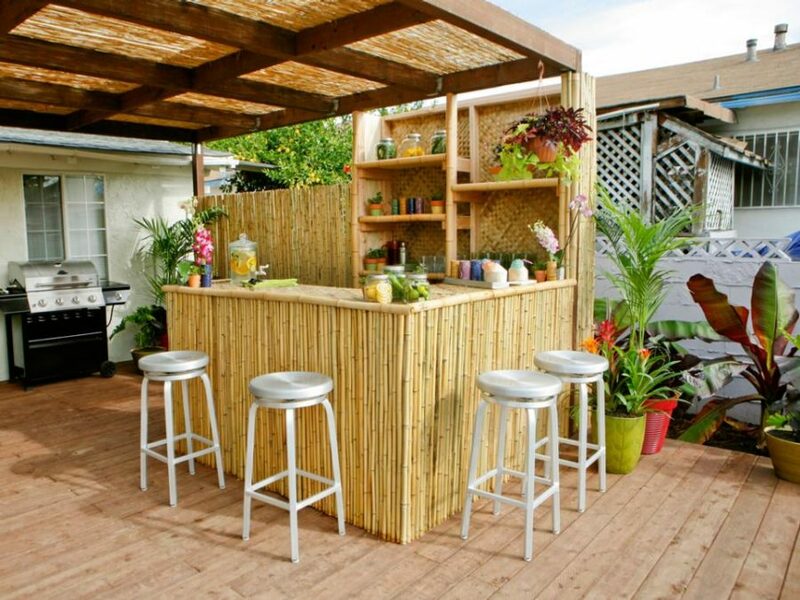 Nothing screams Hawaii resort quite like a bamboo tiki bar. Add potted palms and other greenery to make it work in your yard. 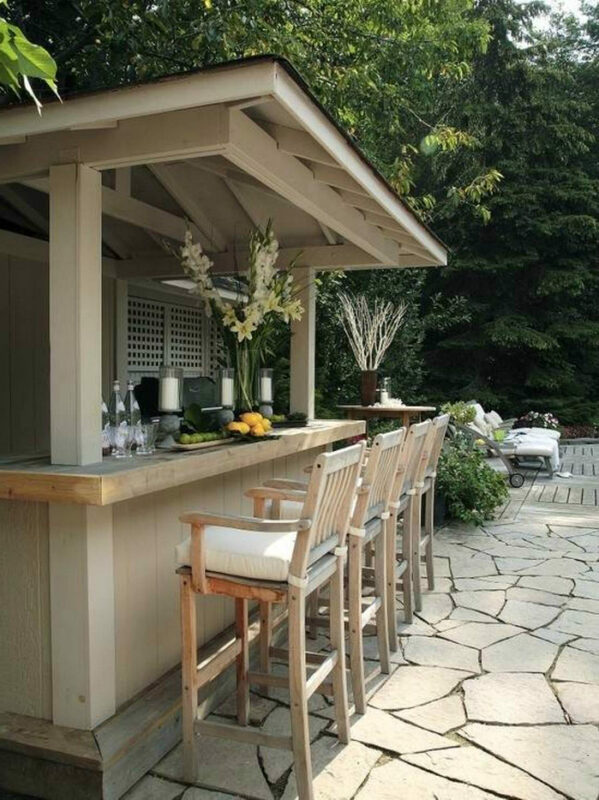 A free-standing bar counter can be built under the tree canopies and allow for more cooking space. 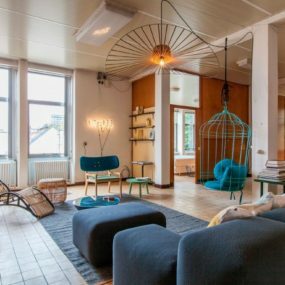 Additional structures aren’t very common in typical houses, but they definitely provide a more private atmosphere and give room for creativity when it comes to bar design. This French and Italian style bar looks amazing. 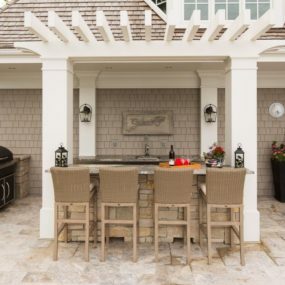 Pergola works for everything, so if you are worried about the sun it can be a great solution for your outdoor bar. 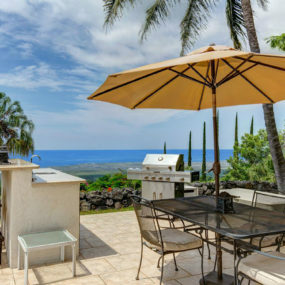 Located in Hawaii the House of Paradise features an entire outdoor kitchen, cabinets and all. 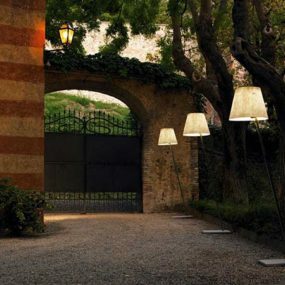 Creative lamps give it a special charm while the black furnishings accent the white stone tiles. 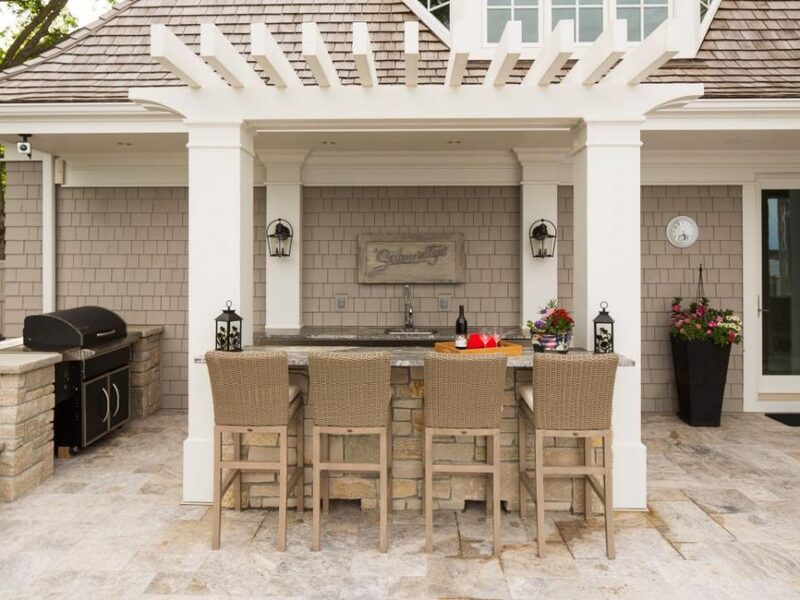 Mullin Landscape Associates have created this beautiful bar with a gazebo in addition to a spacious backyard. 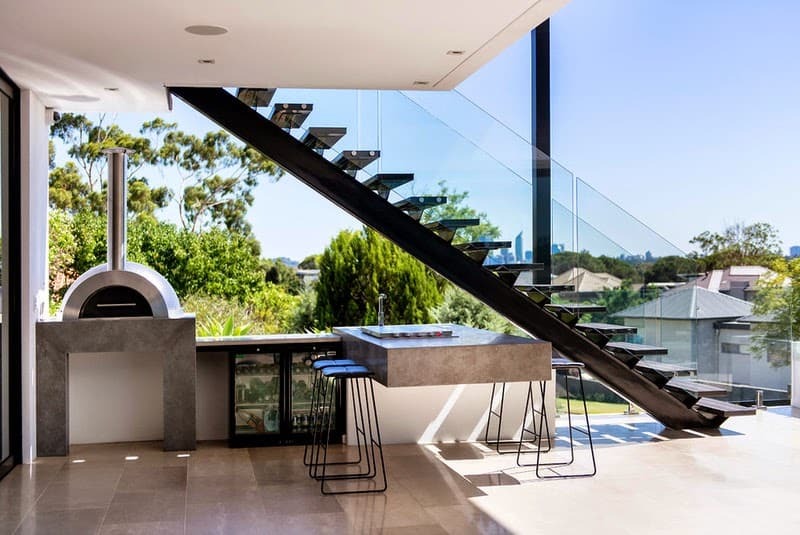 It looks sophisticated thanks to its crushed stone bar counter and upholstered wooden stools. 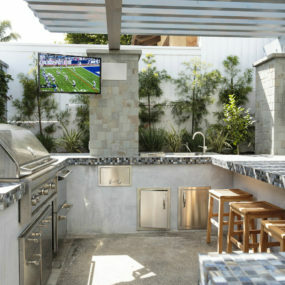 Indoor/outdoor wet bar can be a tricky design to achieve, but it can also save you some money. All you need is a big window and a makeshift counter. And you can use your kitchen sink to make it a true wet bar. 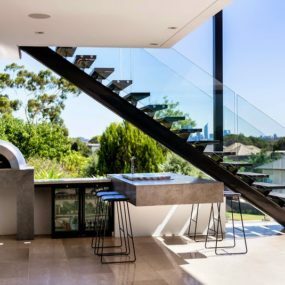 A counter can be built into the window frame or built as an outside windowsill. 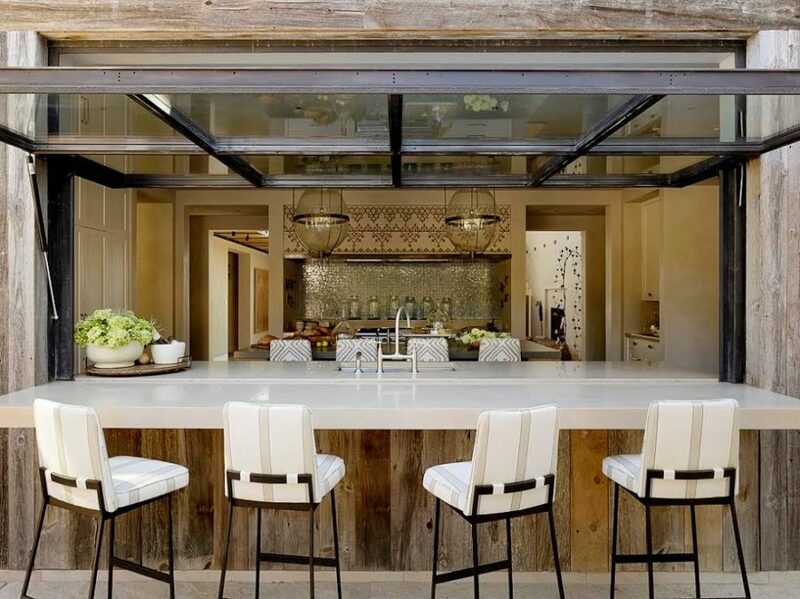 Courtney Cox’s retreat in Malibu features an interesting indoor/outdoor kitchen bar with modern windows that open upwards. 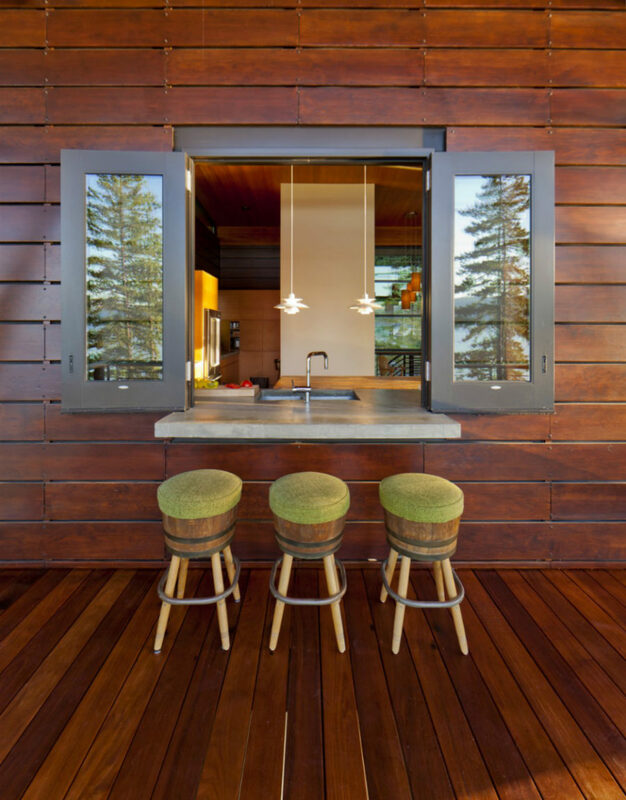 Coeur D’Alene Residence in North Idaho shows another way of designing an indoor/outdoor bar. 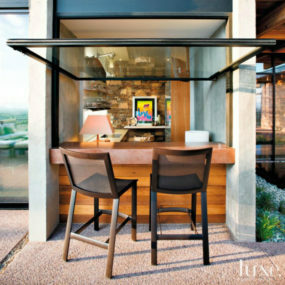 The kitchen countertop extends outside the window creating a solid bar counter. 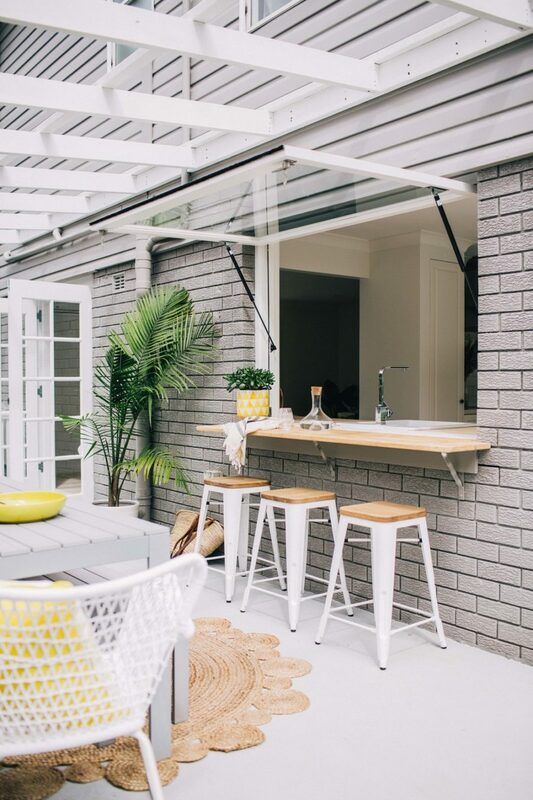 Natural wooden accents and grey brick make this outdoor wet bar incredibly stylish. The bar counter supported by metal rods seems retractable. 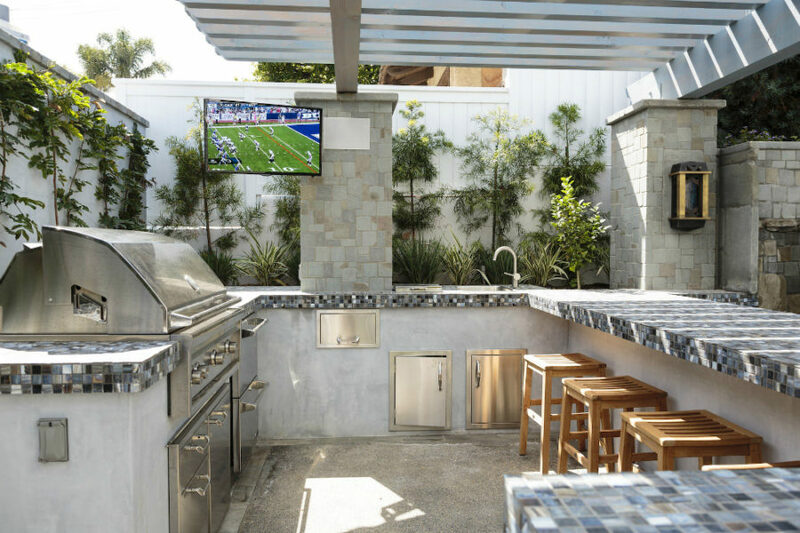 A great idea for small backyards. 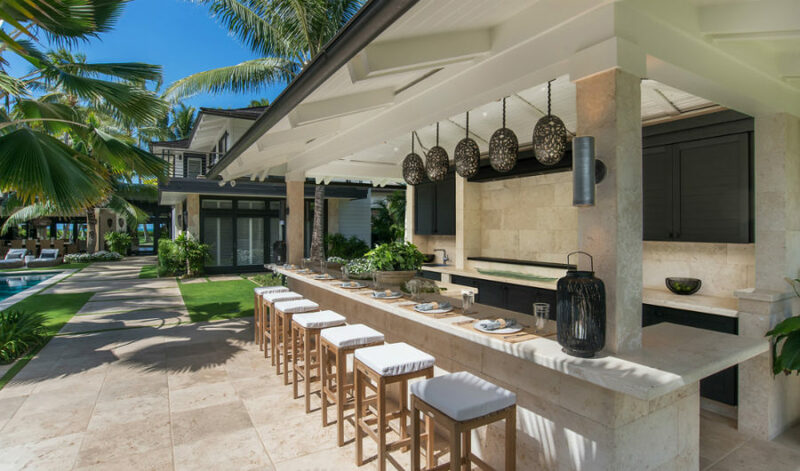 If one or two windows seem smallish for creating your dream indoor/outdoor bar, this Ken Linsteadt Architects design shows how you can scale it up. That counter is big enough to seat up to four or five people. 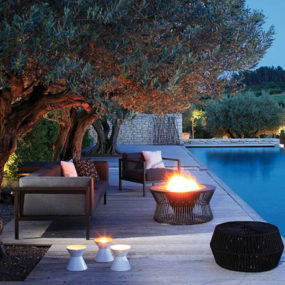 When it comes to creating a classy outdoor bar it is down to furnishings and decor. 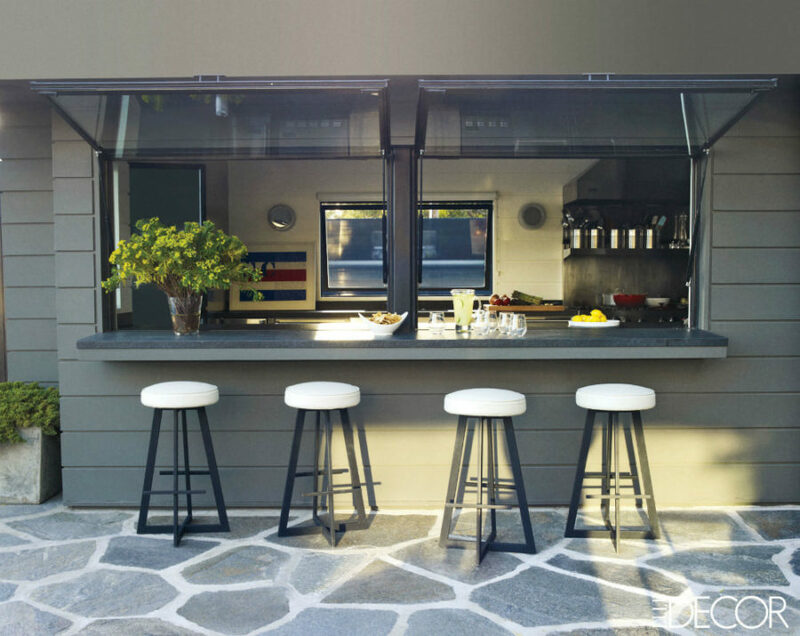 Take cues from this BBQ bar counter furnished with Lucite stools, a zigzag-printed rug and a pastel pink outdoor set. 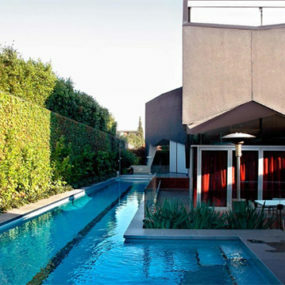 Minimalist outdoor spaces often look clean and inviting as well as expensive. 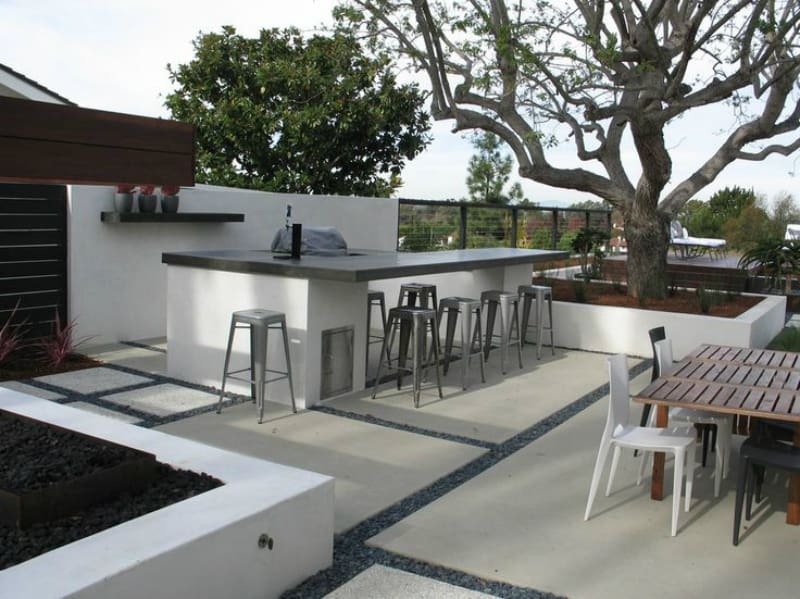 In this outdoor bar the rectangular planter boxes provide guests with privacy at the bar counter and if they want to mingle and socialize there is a seating area nearby. 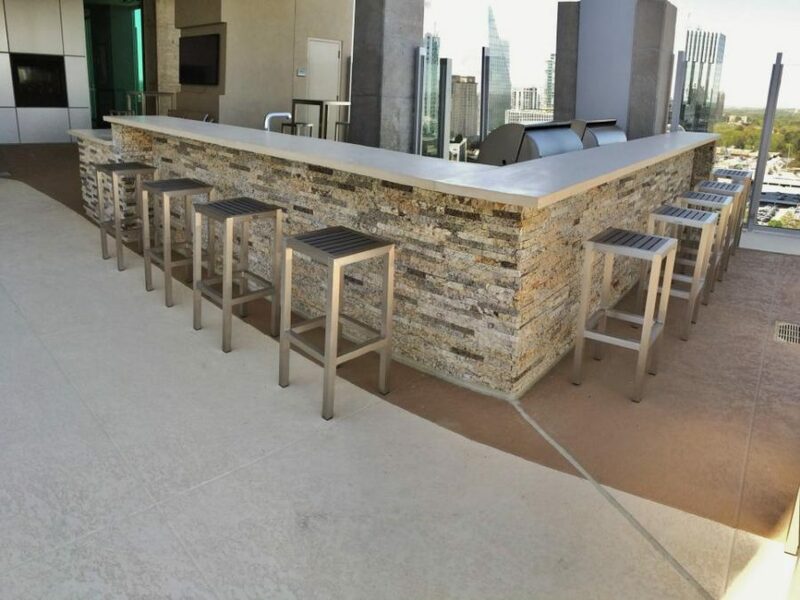 This minimalist rooftop bar with a stone L-shaped counter looks impressive and stylish. 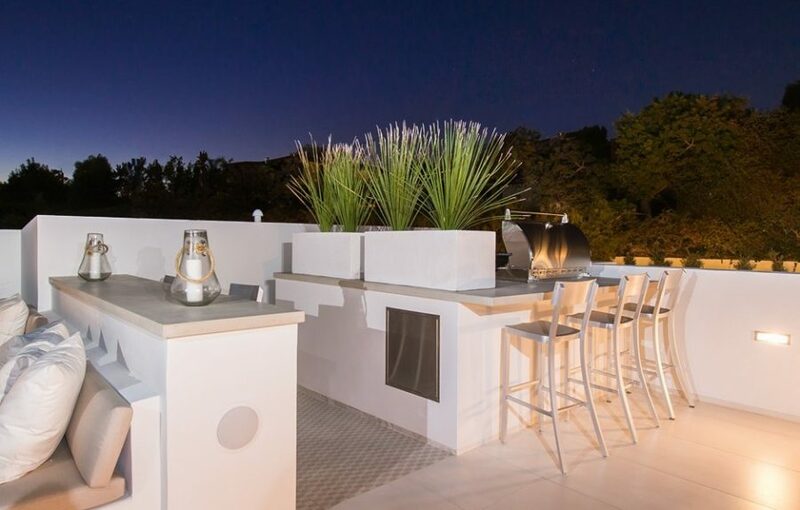 Everything from stools to BBQ grills works in harmony creating a uniform look. Bar stools are an important part of bar decor. 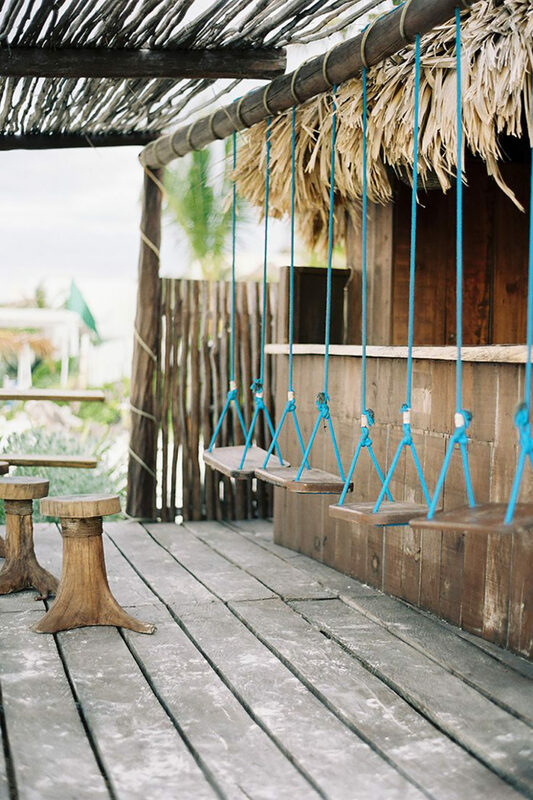 Hanging chairs are very popular in resort outdoor bars. They don’t just look unusual but also seem like a lot of fun. 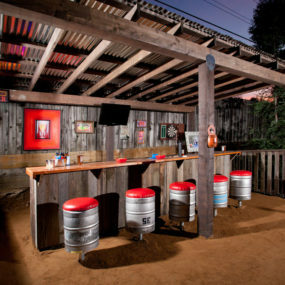 An old barn or a shed can be turned into a Southern-style bar just like this one by Jake Moss Design. The barrel stools upholstered with red leather give it a pop of color that echoes throughout the place. 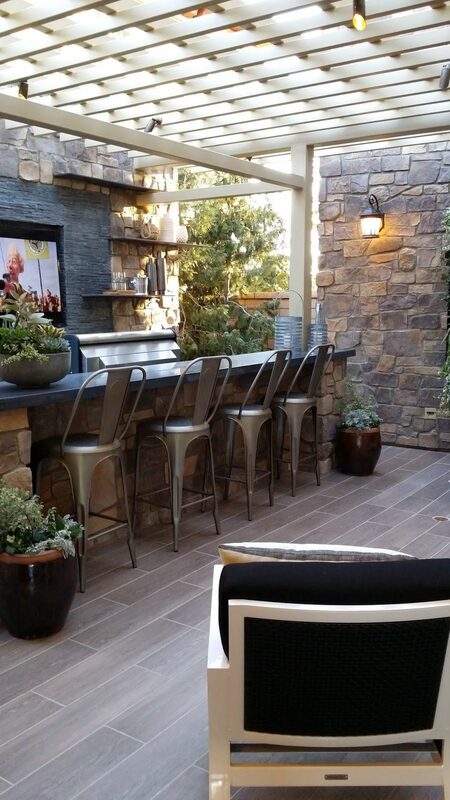 An indoor courtyard makes for a nice bar location. 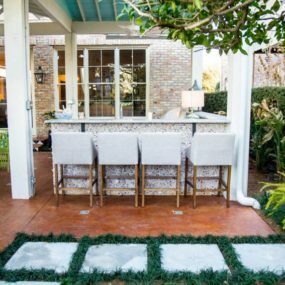 TG Interiors added a white pergola to their design to contrast the stone and finished the look with metallic Tolix stools. 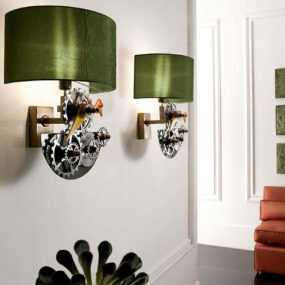 Greenery can jazz up any design. Just look at that tree. 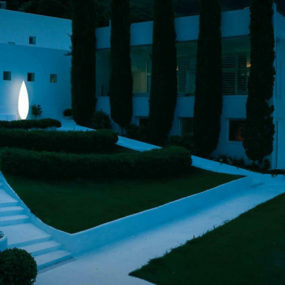 With it in the picture the strict lines in this minimalist design get instantly softer. 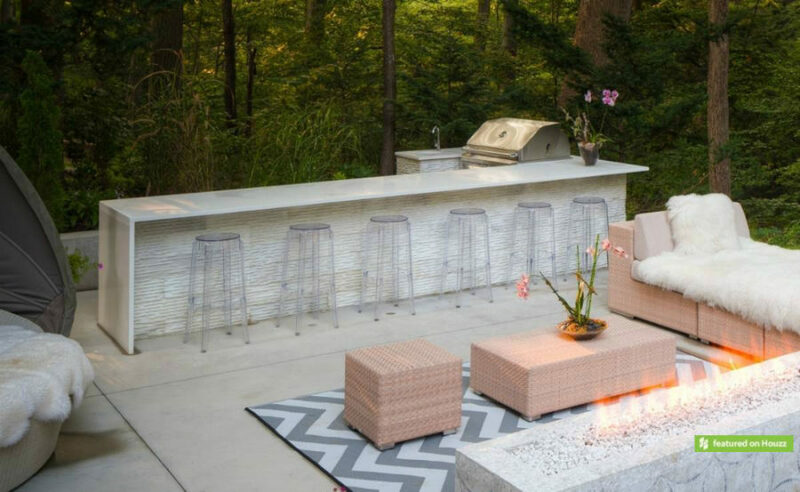 We’ve seen bars made of wood and stone, but concrete is another viable material for an outdoor wet bar. Sealed concrete looks like the best option seeing as bars tend to have lots of spills. 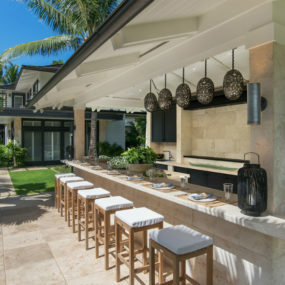 Outdoor wet bar is definitely an investment but if you’re looking to spend more time at home during summer it’s definitely worth it. 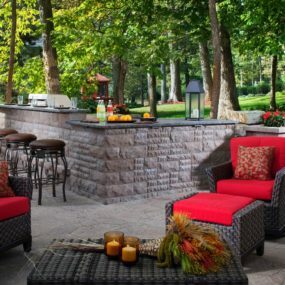 If you don’t drink a bar counter is still a great addition to an outdoor kitchen to serve appetizers. Don’t focus on a certain idea though, especially, if it doesn’t work for you. 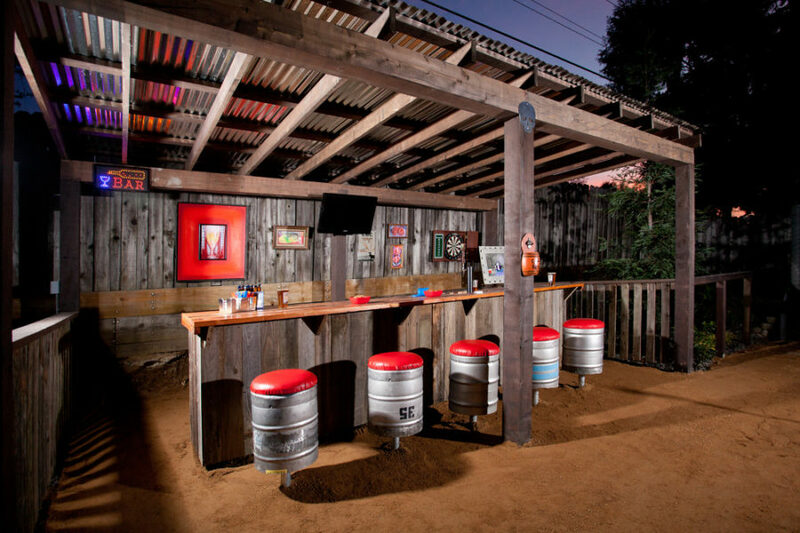 There are many different ways to design a bar and build it for less.